Wyntercreek Neighborhood | Atlanta - Home Page"
As Wyntercreek and Dunwoody neighborhood children head back to school, Wynterhall Swim & Tennis Club announces new hours for the pool to begin August 13th. 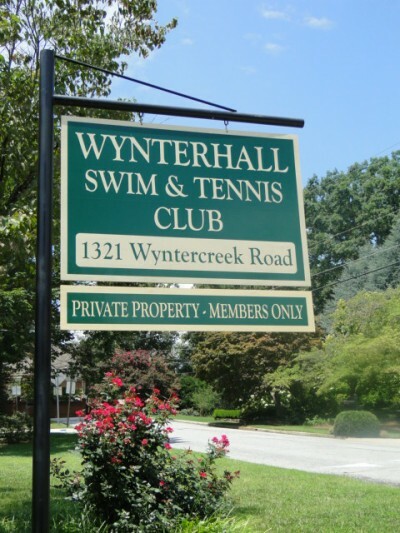 Wynterhall is a neighborhood swim and tennis club located in the Wyntercreek neighborhood in Dunwoody, Georgia. The club has an olympic size pool with two diving boards with active swim and dive teams for the kids.The club has four tennis courts and offers ALTA teams for adults and children. Membership is open to everyone in the Dunwoody area, with priority given to those living in the Wynterhall, Wyntercreek and Dunwoody Knoll subdivisions.